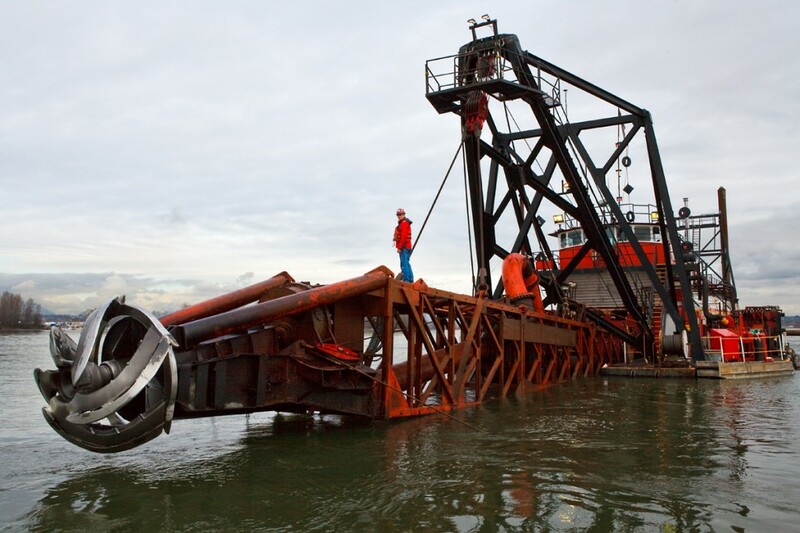 A 100 year commitment to excellence in marine construction has seen Fraser River Pile & Dredge (GP) Inc. (FRPD) grow from a small, three-man partnership into a sophisticated construction and dredging operation equally at home on water or ashore. A century of contract experience in wharves, piers, docks, pile driving, bridges, barge, and ferry ramps and dredging makes FRPD the leading integrated marine construction and dredging company in British Columbia today. The following are a few of the highlights of the company’s growth and development since its founding 100 years ago. In 1911, Stanley Simpson, Perley Jones, and Charles Harding established a three man partnership, Fraser River Pile Driving. 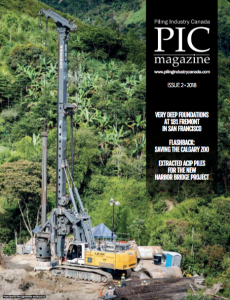 Although founded in 1911, the company spent much of that first year building its own pile drivers and getting other equipment ready for anticipated contracts. The first job the company took had a contract price of $144.10 and entailed driving, sawing off and capping 40 piles. In the company’s first year in business, men on pile driving crews were paid $4.50 per day. By 1922, the year the Fraser River froze over, it was $6 and by 1924, the year the company worked on the Vedder River flood control project, the daily rate had risen to $7. During these formative years, the company built up a team of dedicated employees and went on to complete projects for a number of New Westminster-based companies, and provided maintenance services and repair work for 14 different canneries in what is known today as the lower mainland. One of the company’s earliest “major” contracts was building the B.C. Transport Company’s wharf in New Westminsterfor $47,880. The flood of ’48 in the Fraser Valley washed out dikes, roads, bridges, power, and telegraph lines. Highways, railroads, and farmlands were submerged, and the Canadian Pacific Railway (CPR) mainline lost 600 feet of track. Fraser River Pile Driving moved men, equipment, and materials into place and went to work. In just 13 days, the CPR was back in operation; a full three weeks before the Canadian National Railway tracks reopened. In 1956 the company constructed the original Pitt River Bridge and went on to build numerous bulk-loading terminals throughout the province during the 60’s and 70’s. During the mid 80’s Fraser River Pile Driving, Centennial Dredging & Sand Ltd., Sceptre Dredging Ltd., Kapilano Scow Rentals, and Harbour Heavy Lift went through a series of mergers and acquisitions that eventually became Fraser River Pile & Dredge (GP) Inc., a company incorporated in Alberta on February 25th, 2008. Today, the company which started out as a three man partnership has grown to become the largest Canadian marine construction and dredging contractor. The company employs more than 300 people in peak construction periods and the same company that earned $144.10 on its first contract now regularly wins and successfully completes contracts for multi-million dollar projects. Since the company’s first days in business its success is directly related to the highly-skilled employees that work safely and are dedicated to providing value to all stakeholders. To this end, during the late 90’s the company adopted the tag line “We Set the Standard” with the intention of focusing all efforts to continually achieving a higher level of standard.